The Venator Evolution has been a huge hit so what better way to follow it up than with the first Hybrid cover ball in the Venator series. The Venator Evolution has been a huge hit for us and we wanted to follow it up with something spectacular. 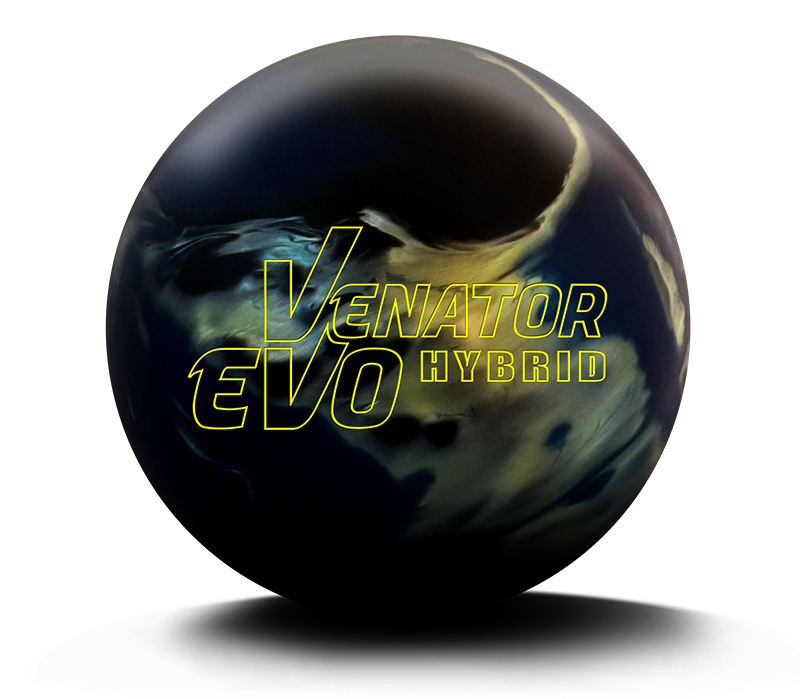 A Hybrid ball with the Tenaci Core is something we have been asked for ever since the release of the original Venator back in 2013. We have only made one "true" hybrid before, the Dominion, so this is not simply a standard step in ball releases for us. The cornerstone of the "Seismic reaction" has always been control and with the Venator Evolution we fused that with explosive back end power with the addition of our new SSF16 Pearl coverstock. We wanted to create the same downlane motion but add some extra early-oil handling that pearls lack, and so the EVO hybrid was born. As always, we put a lot of thought into the colors we wanted to use in the EVO. We wanted something aggressive looking, so not too bright, but with a light streak. We hope you like the awesome looking black, deep blue and pearl cream we gave the EVO! You don't have long to wait for the EVO - set for release on January 28th our stockist and sales staff are already taking pre orders. If you are not sure where to buy, please email us to be put in touch with a stockist.